Hey! I’m Marissa! Your transformational business coach. I work with fearless entrepreneurs who are ready to say good bye to their corporate jobs or side gigs and launch their own thriving, abundant business. I help them get those ideas out of their head, online and making them money so they can create more, travel more and even spend time with their family & friends. Who is a fearless entrepreneur? Well we’ve all got incredible fears and blocks that hold us back but I love working with entrepreneurs who are ready to face each fear and create a powerful brand in the world. Sometimes it means going against everything we are taught but we follow an all encompassing feeling that there is another way – a better way. I’ve been Hulk-smashing creative blocks for over 16 years as a communicator, creator and brand strategist. Most recently I have channeled that passion into constructing pop up art galleries and retail shops for the made local art & design set. I’ve fortified my coaching with a certificate from Erickson Business Coaching College and I’ve taken Gina DeVee’s Transformational Coaching Academy & Business Mastery program. Well, I spent too much time counting hours on a cubicle clock and scanning the job pages to find my niche. I bounced from one corporate job to the next, albeit slightly different skills required, thinking that I could find that perfect cookie cutter job. But it wasn’t the jobs that were wrong – it was me. I wasn’t fitting into that cookie cutter – you bet your bippy, I’m a mold breaker! I’ve got a knack for asking the right questions at the right time. I believe in possibilities just as much as I believe in action. I get a thrill from helping others achieve their success factor. I LOVE it when people get their mad creative skills in full effect. I believe every person has the power for change. I support that every person who comes to coaching is OK. You’re not broken, you don’t need fixing. I’m here to help you create your own answers that work for you right now. Three years ago, I started working with a direct sales company in Canada selling loose leaf tea just to get the tea discount. However, the company went on Dragon’s Den and has since become a huge success. That meant in two years I was at the top of a very healthy 300 person team. What I loved was working with women to cast off their day jobs, bring in extra income and build thriving businesses for themselves. My team started asking me for more coaching, so I thought hmmm this might be a sign. At the same time, I launched On the Spot Pop Ups in Edmonton, Alberta Canada. Focusing on the locally made small business artist/designers, we create temporary art galleries & retail shops. This has propelled the shop made local priority in Edmonton. In three years not only have we grown our audience but we have become a vital resource for customers actively looking to shop made local. I love working with vendors to not only help them the day of the show but afterwards to build solid foundations so they can grow their business locally and globally. I’ve even got some recognition for that lovely achievement. 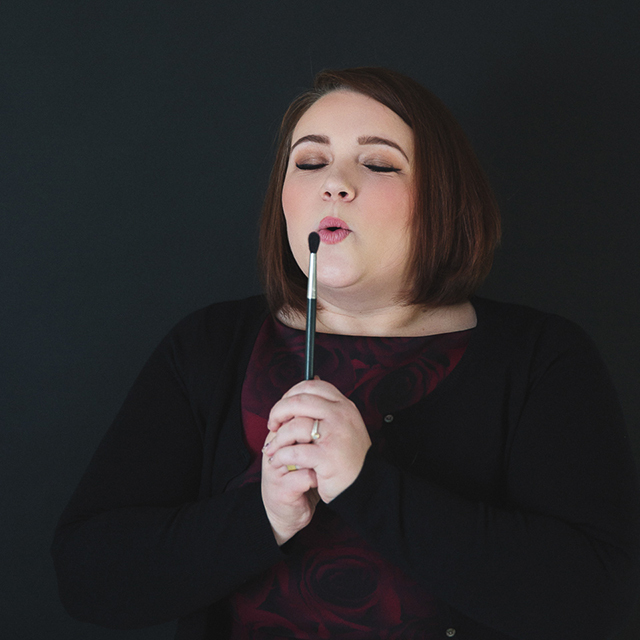 Business Coaching – I use creative coaching practices and NLP coaching strategies to help you Hulk-smash your own creative thinking blocks. Be prepared to go deep, little creative miner, we’re going to dig up pure gold that will change your life, increase your income and have you believing in the power of the personal high five. What can I do for you? I will get you using all of your senses to really get to the heart of what you want. Get ready little grasshopper we’re going to wax on, wax off all that corporate sludge and get you operating from your creative mind. You think laughing is the worst. You would rather be glum for the rest of your life. You’re not ready for change. You LOVE your current job or you can’t wait to find another job JUST like it. You’re content to plod along all by yourself, getting overwhelmed in all the steps it takes to set up a business. You hate achieving your big desires – traveling the world, enjoying the sun on your face, shopping trips in Milan – yuck! You hate the feeling of success and achievement. That’s for other people, right? If even one of the above, made you laugh it’s because you’re ready for this. I’m ready to support you in your journey, so let’s get together over a free discovery call and see where we can take this. 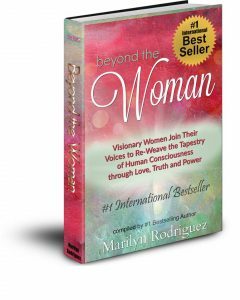 Co-author, Beyond the Woman – Visionary Women Join Their Voices to Re-Weave the Tapestry of Human Consciousness through Love, Truth and Power.